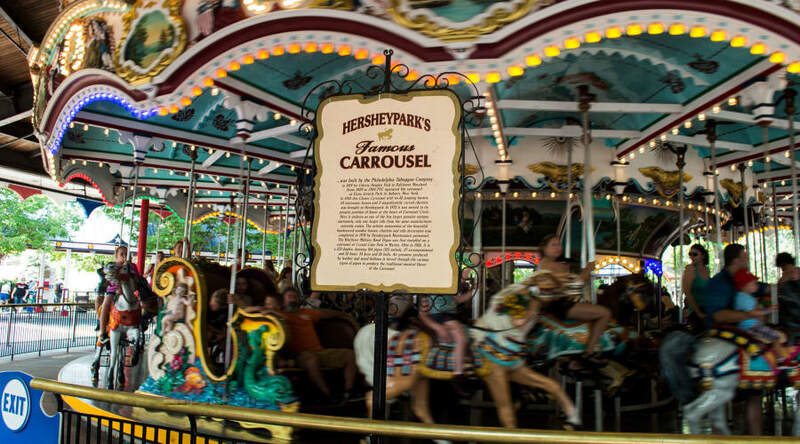 Take a ride back in time on one of the country's oldest Carrousels, located in the Founder's Way℠ region of Hersheypark®! Every member of the family can enjoy this ride. 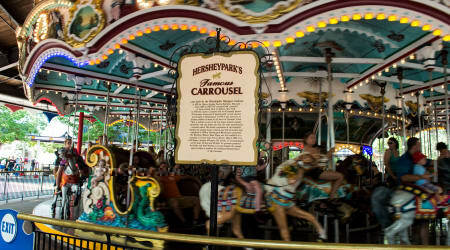 Choose between a moving or stationary horse and enjoy music provided by a Wurlitzer model 153 military band organ. Handheld infants must ride in a chariot.